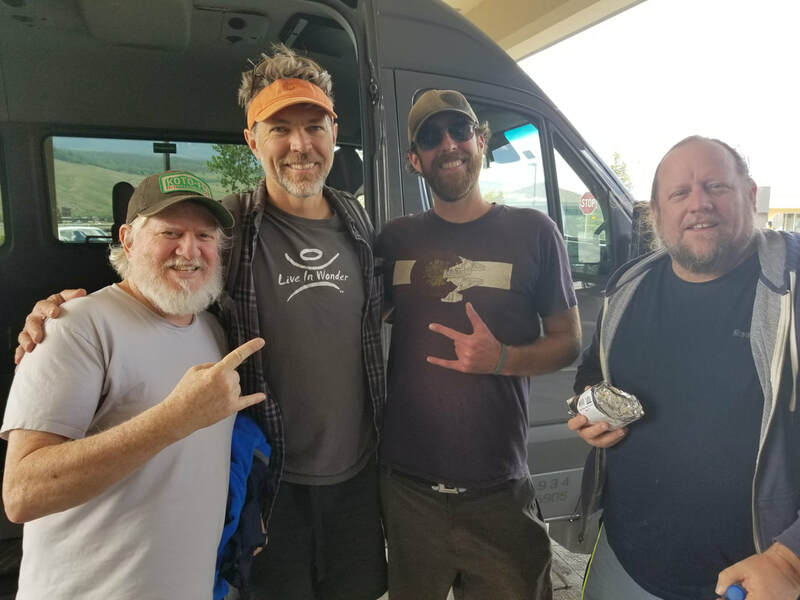 Band members of String Cheese Incident "had a blast" riding JMS (left to right: Bill Nershi, Kieth Mosely, Captain Bert, and Jason Hann). Roll like a Rock Star! Our favorite summertime activity is providing transportation to/from Shows at Red Rocks Amphitheater. Our limo plates allow us to park anywhere we want. We induce great tail-gating, reduce excessive uphill walking, and make festi-phriends with fellow concert-goers! We have the ultimate Party Buses (so they're actually a party "vans" but let's not get technical) and We Bring The Party! We'll be happy to head down early. For most General Admission (GA) shows, we know how to get you and your friends in (or VERY near) the front row... VIP baby! Many shows with assigned seats have the first few rows assigned GA, so we can often get you in front of people that paid bookoo bucks for assigned seats! Our Guests are strongly encouraged to provide their own adult beverages, and this IS colorado so feel free to bring other things as well. But don't forget to bring a raincoat because it often rains in the evening during July and August, although it does usually blow over pretty quickly. We'll take you anywhere you want to go, anytime!